On the Recent Discoveries Concerning Jupiter and Venus is a letter published in Science magazine (December 21 , 1962, Vol. 138, pp. 1350-52) from Princeton University Prof. Valentine Bargmann and Columbia University astronomer Lloyd Motz concerning two of Velikovsky‘s predictions, one on radio noises from Jupiter, the other on the heat of Venus. In the light of recent discoveries of radio waves from Jupiter and of the high surface temperature of Venus, we think it proper and just to make the following statement. Soon after that date, the text of the lecture was deposited with each of us [it is printed as supplement to Velikovsky’s Earth in Upheaval (Doubleday, 1955)]. Eight months later, in June 1954, Velikovsky, in a letter, requested Albert Einstein to use his influence to have Jupiter surveyed for radio emission. The letter, with Einstein’s marginal notes commenting on this proposal, is before us. Ten more months passed, and on 5 April 1955 B. F. Burke and K. L. Franklin of the Carnegie Institution announced the chance detection of strong radio signals emanating from Jupiter. They recorded the signals for several weeks before they correctly identified the source. This discovery came as something of a surprise because radio astronomers had never expected a body as cold as Jupiter to emit radio waves (1). On 5 December 1956, through the kind services of H. H. Hess, chairman of the department of geology of Princeton University, Velikovsky submitted a memorandum to the U. S. National Committee for the (planned) IGY in which he suggested the existence of a terrestrial magnetosphere reaching the moon. Receipt of the memorandum was acknowledged by E. O. Hulburt for the Committee. The magnetosphere was discovered in 1958 by Van Allen. In the last chapter of his Worlds in Collision (1950), Velikovsky stated that the surface of Venus must be very hot, even though in 1950 the temperature of the cloud surface of Venus was known to be -25°C on the day and night sides alike. In 1954 N. A. Kozyrev (2) observed an emission spectrum from the night side of Venus but ascribed it to discharges in the upper layers of its atmosphere. He calculated that the temperature of the surface of Venus must be +30 C; somewhat higher values were found earlier by Adel and Herzberg. As late as 1959, V. A. Firsoff arrived at a figure of +17.5°C for the mean surface temperature of Venus, only a little above the mean annual temperature of the earth (+14.2°C) (3). 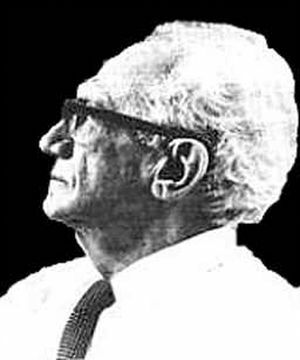 Although we disagree with Velikovsky’s theories, we feel impelled to make this statement to establish Velikovsky’s priority of prediction of these two points and to urge, in view of these prognostications, that his other conclusions be objectively re-examined. See also the New York Times for 28 October 1962. N. A. Kozyrev, Izv. Krymsk. Astrofiz. Observ. 12 (1954). Science News 1959, 52 (Summer 1959). Phys. Today 14, No. 4,10 (1961). C. H. Mayer, Sci. Am. 204 (May 1961).